Katharine Edmonson grew up in a Pasadena home with a steady diet of folk music and weekly hootenannies. As a nomadic young adult, she worked her way across the US framing houses and driving heavy equipment by day and performing in coffee houses and country bars by night. She's sung with Buck Owens and the Buckaroos, performed in a disco band, and played C&W sporting big hair and lavender boots. She's also an award-winning kayaker, loves to mountain bike, being a mom, gramma, and now is a retired science teacher. Kat's always been drawn to the intricate rhythms and modal harmonies of Irish and Scottish music, but it wasn't until meeting up with Brenda and Jill that she decided to pursue it for real. 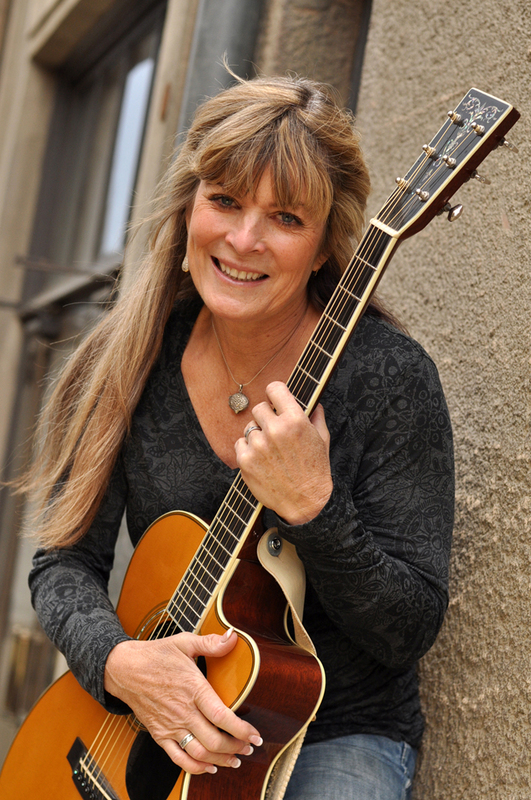 Kat also plays with Kris in the Kern Valley based group called The Kern River Band.